So I think I am the only person who has not been sporting red, white and blue nails this weekend, and the main reason for that would be this. The other day I was so bored that I decided to try my hand at some "proper" nail art (no crackle or magnetic polishes to be seen here!). After seeing so many pretty pictures of tribal nail designs on Pinterest, I wanted to have a go at my own version of these aztec nails, and I was so proud of them that I didn't want to ruin them with what would have been a failed attempt at union jack nails. Mine aren't quite as intricate as others I've seen, but I am proud that I was able to draw somewhat straight lines with my left hand nonetheless! I hope you like them! Have you been sporting Jubilee nails this weekend? 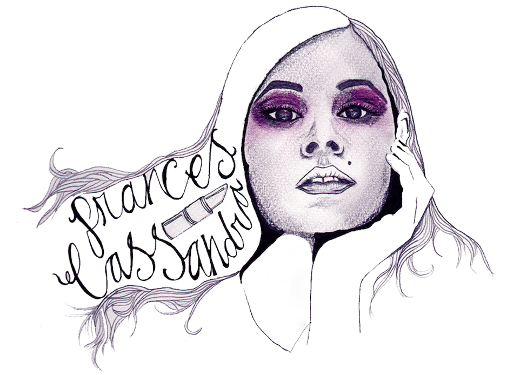 These look awesome, Frances! I'm still yet to attempt an aztec design, but it's on my list to try. I did make a feeble attempt at union jack nails, but it was a shoddy mess so my nails have been half-done cupcakes all weekend. 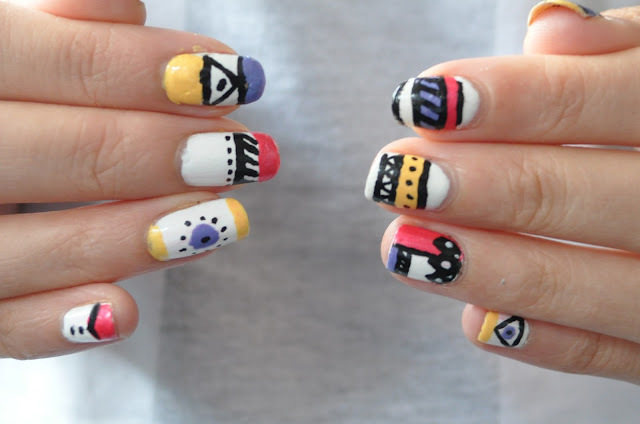 These look really pretty, I am hopeless at nail art! I haven't been sporting red white and blue nails either as I still have Shellac on my nails. These look AMAZING! You should defo do some tutorials on these! I can never seem to get the hang of them! Fracnes these are amazing, I have no patience when it comes to nail art, really wish I did though, well done sweets! 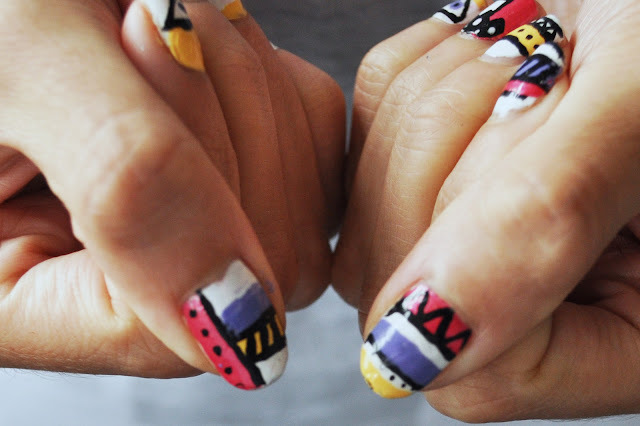 Amazing nails- wish I could do it, I'm so rubbish at nail art but I really love Aztec Print. They look great, I did some last month myself, although I kind of cheated and just did the one hand, I didn't even want to attempt the right! Gorgeous! I will get the same now, been wanting these for a while!